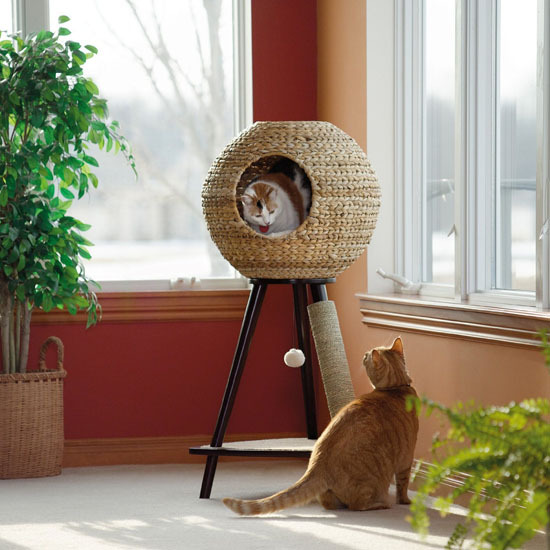 If you have an empty corner and an active cat, that place would be perfect for Sauder 44″ Sphere Scratch Post Cat Tree. Please pay attention to the dimensions, this cat tree is pretty big (43.7″ H x 19.88″ W x 21.65″ D) and requires some space. It features a nice wicker sphere (made from natural, banana leaf material) on top with 2 access holes for easy access. Inside this sphere there’s a machine washable bed cushion to keep your cat cozy and comfy when relaxing inside. 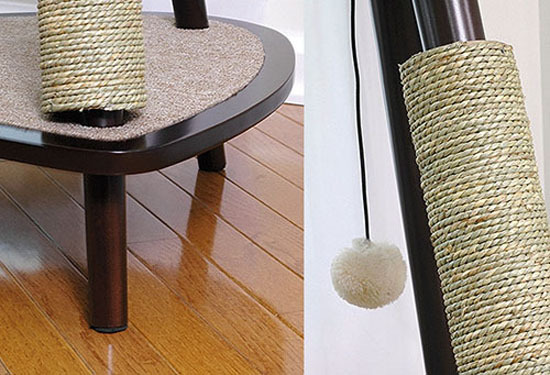 Supported by 3 legs, one of them is covered with sisal rope, a nice spot when your cat needs scratching, keep it away from your precious furniture. The second tier is covered with rug, a nice spot just to hang out. 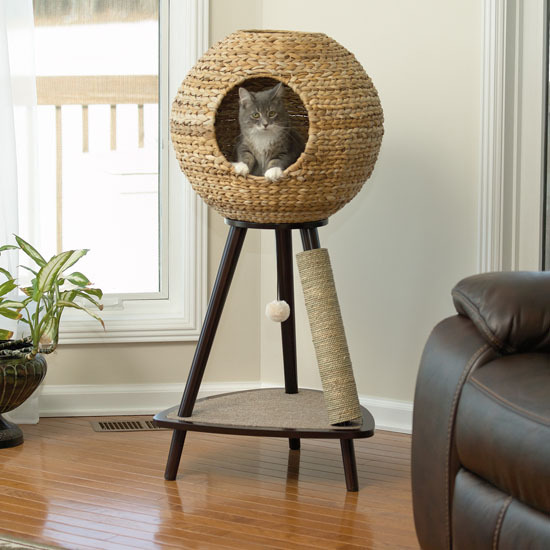 This Sauder 44″ Sphere Scratch Post Cat Tree would make a beautiful object in any room, your cat would love it and spend his/her time staying in it, you know, cats require their own space from time to time. Just in case your feline friend can’t jump that high, you can try to place this cat tree next to a sofa or a chair, so that your cat can get easy access from there.